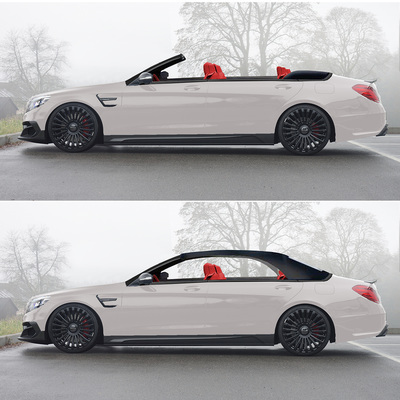 EAT has partnered with one of the worlds leading engineer and convertible coach builder to develop the worlds first production Mercedes S Class Convertible. The design is inspired by the Mercedes Ocean Drive Concept which was rumored to become the new flagship for Mercedes in 2007. Although, many enthusiast expressed great admiration for the concept the vehicle remained as a one off concept. 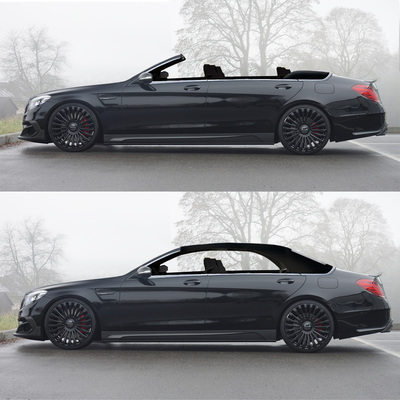 We are glad to introduce the 2015 Mercedes S Class Convertible, which features a power soft top, pillar less B frame reminiscent of the Classic 62-66 Lincoln Continental. Vehicle safety is a top priority when implementing structural changes to a vehicle. The vehicle frame is reinforced in the beam, rocker area, pillar post, shock towers, and along the rear deck to ensure impact safety. 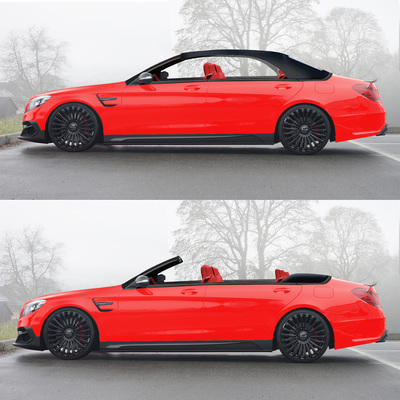 Vehicle maintains even weigh distribution and a lower center of gravity, increasing handling and performance. Rear cabin space remains unchanged, maintaining factory comfort spacing. Trunk room will be no issue there is no alteration made to factory trunk space. 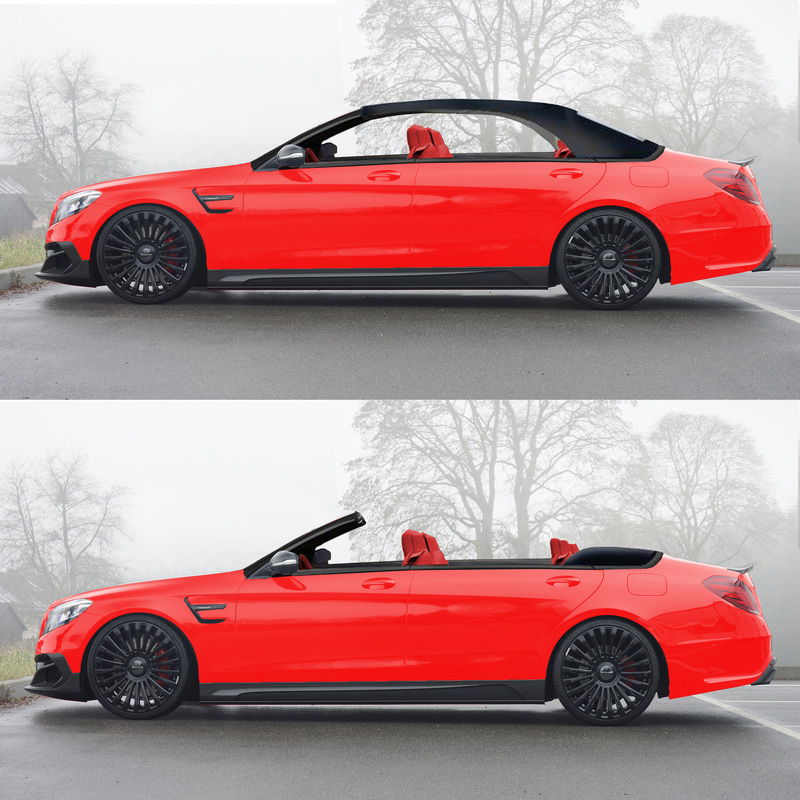 This is a great design and engineering accomplishment that was considered to provide an OEM style convertible solution. If you currently own a S Class (W222) the upgrade our Convertible Conversion starts at $49,995 USD. Please email info@eatglass for more information. EAT TECHNOLOGY © 2015 All Rights Reserved.